This is a survey lateral radiograph from a 9-year-old female Tonkinese cat with hematuria and inappropriate urination illustrating multiple radio-opaque uroliths. 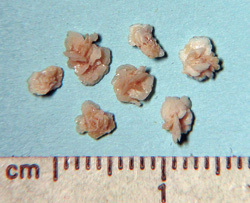 The uroliths have an irregular contour, which is consistent with diagnosis of calcium oxalate. 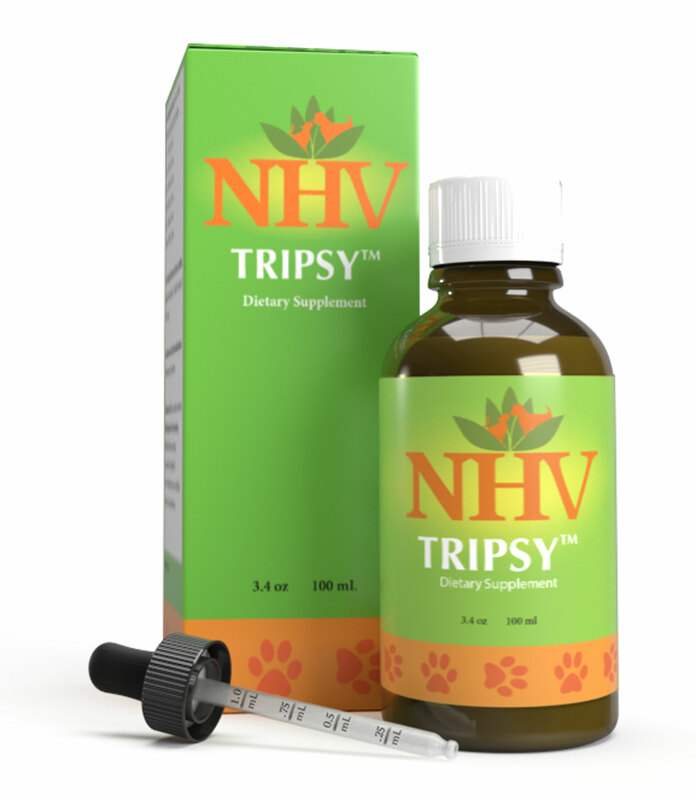 Indeed, veterinary concerns related to struvite and calcium oxalate uroliths, and the difficulties in managing each, have been recognized by many veterinary diet manufacturers. 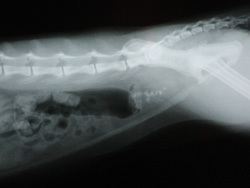 Royal Canin Veterinary Diets in St. Charles, Mo., for example, has used the relative supersaturation (RSS) urinalysis technique, adapted from human medicine, as a means of measuring ion saturation in feline urine samples to predict the chance that struvite and calcium oxalate crystals will form. With such data in hand, the company formulates its Urinary S/O diets to promote a urinary environment unfavorable to the development of both types of crystals. “Using RSS is a lot more effective than just looking at pH,” says Brent Mayabb, DVM, technical services manager for Royal Canin. These are the uroliths retrieved from the bladder of the cat pictured in the radiograph. They were removed non-surgically using a basket retrieval technique. Quantitative mineral analysis revealed that the stones were composed of 100 percent calcium oxalate monohydrate and the shell was composed of 10 percent calcium oxalate monohydrate and 90 percent calcium oxalate dihydrate. Royal Canin’s diets are formulated on the premise that, although control of urinary pH is effective in dissolving struvite crystals, it can’t be relied on to manage both struvite and calcium oxalate. In this respect, Royal Canin reports that urinary dilution has been shown as an effective way of limiting formation of both struvite and calcium oxalate. Such dilution is achieved by increasing dietary sodium levels, producing an increase in urine volume. In establishing sodium levels for its diets, Royal Canin refers to independent published studies as an indication that its foods are well within acceptable limits. Although absolute maximum levels of sodium have not been determined in cats, the company points to a 2006 report, National Research Council’s “Nutrient Requirements of Dogs and Cats," which concluded that cats can tolerate a sodium concentration of 15 grams per kilogram per meal, so long as they have access to water. 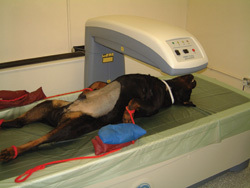 This dog is undergoing dual energy X-ray absorptiometry, or DEXA, to determine its body composition. DEXA uses two different energy levels to distinguish the type and amount of tissue scanned. This technique is most often used by researchers studying obesity. Despite certain well-established characteristics of renal diets, there is still great variance among foods currently on the market. Hill’s Pet Nutrition Inc. in Topeka, Kan., takes a different approach to diets designed to manage feline urinary disorders. 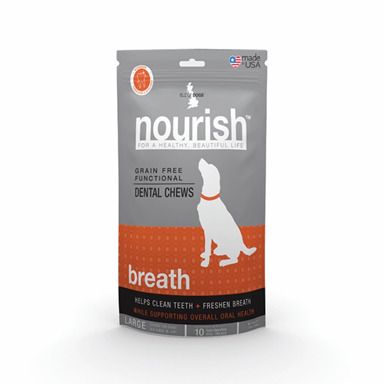 Earlier this year, the company unveiled Hill’s Prescription Diet c/d Multicare Feline. 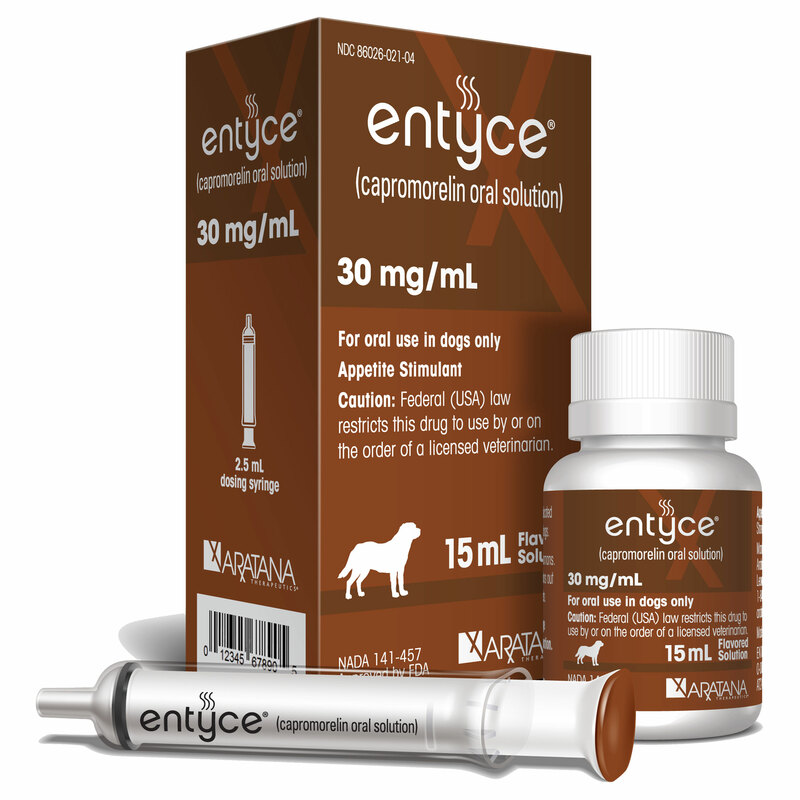 The diet combines two of the company’s existing veterinary formulas with antioxidants and omega-3 fatty acids to reduce inflammation in patients with feline idiopathic cystitis and other causes of feline lower urinary tract disease. Regarding sodium levels, though, Hill’s refers to a 2006 study published in Veterinary Therapeutics that determined that pet foods without excess salt levels help cats avoid a progressive decline in kidney function. Thus, the company says its diet contains no excess salt, yet maintains urine saturation levels that minimize the risks of calcium oxalate crystal growth. The company reports that the diet also contains controlled levels of magnesium and added citrate, which acts as a crystal and urolith inhibitor, as well as vitamin B6 to help decrease oxalate formation and excretion in urine. In addition to kidney disease, obesity remains a common topic of discussion and an area of much research in feline nutrition. M. Anne Hickman, DVM, Ph.D., Dipl. ACVN, of Pfizer’s global research and developme nt department focused on cardiovascular, metabolic and endocrine diseases, says viewing obesity as a condition of merely too much food and a lack of exercise is simplistic. “Our knowledge of adipose tissue as an important endocrine organ is rapidly increasing,” she says. One area of ongoing research in feline nutrition and obesity concerns adipokines, molecules that can become dysregulated in obese animals and may have direct causal links to many of the associated abnormalities, Dr. Hickman says. While most research to date has been done in humans and rodents, some adipokines appear to be common to and function similarly in all species, including cats. “Further research in cats is warranted to understand the role of these fascinating molecules so that therapies for diseases such as obesity and type-2 diabetes mellitus can be developed,” she says. Grace Long, DVM, director of veterinary technical marketing for Nestle Purina PetCare USA in St. Louis, says recent research into the importance of adipokines in obese cats could have implications for how veterinarians advise their clients on issues of feline nutrition. Lori Luechtefeld is a freelance writer in Los Angeles.